Learn to drive with our local, fully qualified, professional driving instructors. Our driving lessons in Carlisle provide expert tuition, excellent first time pass rate & our solid reputation for excellent customer service will help you pass your driving test with confidence. Driving Lessons in Carlisle with our experienced, professional driving instructors will be fun, educational, and professional. Teaching you a life skill that will bring you independence and wider job prospects. Our excellent first time driving test pass rate and the professionalism of our driving instructors in Carlisle has built our excellent reputation and trust with people looking to learn to drive. Please see our five-star reviews from past pupils. The prospect of learning to drive can be quite unnerving but don’t worry, driving Instructors are CRB checked for your safety. Experienced, calm , and trained to a very high standard. All Learn Driving UK driving instructors conform to the Industry Code of Practice so you will be in safe hands. 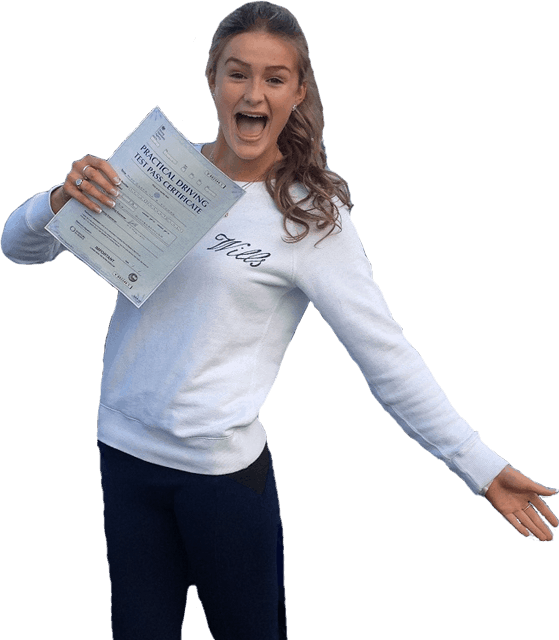 Our Carlisle based driving instructors are achieving a much higher pass rate due to their knowledge of the area, professionalism, and experience of judging when their pupils are ready to pass take their driving test. Learning to drive in the beautiful and Historic city of Carlisle couldn’t be simpler to achieve. Beginners will have their first driving lesson in Carlisle on what we call, quiet, nursery roads; for instance, Lowry Hill estate or an area such as Durdar. You will be safe always as all our driving school cars are fitted with dual controls so that the driving instructor can take charge of the vehicle at a moment’s notice. As you are progressing through your driving lessons in Carlisle and becoming more confident you will move on to driving around Carlisle town centre, tackling the Hardwicke Circus roundabout, learning to manoeuvre the car in a straight line, parking between two cars, parking in a parking bay at a car park as well as reversing around a corner and learning how to follow a Sat Nav. Your driving lessons in Carlisle will be fully structured and you will receive constant constructive feedback from start to finish. You will never be put in a situation that you feel you can’t handle and will be guided always until you feel able to drive independently, then you will be approaching test readiness. The driving test centre is based at The Port Road Industrial Estate Business Park,7AF, Port Rd, Carlisle this gives you an added advantage of being able to take your driving lessons around Carlisle and the area you will be taking your test. Our team of local driving instructors all have excellent local knowledge to help you pass your driving test in Carlisle. Our friendly local driving instructors are all CRB checked. Availability of the instructor was very important to me when i was looking to book driving lessons. Jen's teaching methods were brilliant, shes a great driving instructor and i passed first time. I highly recommend Jen and have already recommended her to my friends. I wanted a driving instructor who would be patient, understanding and mellow. I found learning to drive hard at first, the great teaching methods of my driving instructor Jen Addison made it a lot easier. I would highly recommend Jen as i thought it would be difficult to learn to drive but Jen was really good and made things easy for me. Danny turned up early for my lesson. His car was really clean and tidy. Danny is a very friendly guy and put my mind and nerves at ease. I didn't just enjoy my lesson, i bloody loved it!